I went to St Winefrides infants & juniors from Jan1956 - July 1963. I lived in Balliol Road and went to St winefrides church. Some names I remember, the Murphy family on Merton Road, The Donaghues, Margaret Munro, Katherine Carr. Is anybody from that era on this site? Last edited by PETER CRAIG on Sat Dec 06, 2014 12:48 am, edited 1 time in total. hi, i went to winnies infants about 56,my name was helen barnes,and my friend was margery riley,i lived in molyneaux street. Hi I lived in 93 opposite the baths. Hello Clair i rember you from St Winnies infanrs school you had long black hair and if i remember you where a tall girl. Hi Claire, I lived in number 99,the chapel house,and my friend Wendy Jones lived next door in number 97 with her Mum,are they the Jones's you are referring to? claire-h wrote: I went to St Winefrides infants & juniors from Jan1956 - July 1963. I lived in Balliol Road and went to St winefrides church. Hello Marie, a few of your ex neighbours from Bradshaw Walk are on this site, my family the Connell's lived next door to you at no 5 up until your mum left to take over the Griffin. Please if you can find time, PM me and let me know how the rest of the family are getting on, thank you. John Connell. Last edited by PETER CRAIG on Sat Dec 06, 2014 12:15 am, edited 1 time in total. Marie are you Joe Bradshaws sister? joey cunny wrote: Marie are you Joe Bradshaws sister? john j connell wrote: Hello Marie, a few of your ex neighbours from Bradshaw Walk are on this site, my family the Connell's lived next door to you at no 5 up until your mum left to take over the Griffin. Please if you can find time, PM me and let me know how the rest of the family are getting on, thank you. John Connell. I stumbled on this website while doing a search on the Merton Arms pub on Coffee House Bridge. I'm Danny Murphy, one of the 15 Murphys who lived at 65, Merton Rd, opposite St Winefiride's Juniors. I went to the Infants and the Juniors round the same time as you, as did my brothers, John, Eugene, Paddy and Cormac and my younger sister, Therese. I remember the teachers, Mrs Moore and Miss Jones at the Infants; and Miss Kilgallon, Mr Murdoch, Mr Fearon and Mr Moss at the Juniors. We left Merton Rd in 1971 and moved down to London. I've recently moved back up to Merseyside (Ainsdale). John Wethered until he got married and moved next door to Blairgowrie School but still on Merton Road. Bob - thanks for the photos. I think the Lock & Quay was the Little Merton. The Merton Arms was right on the canal on Coffee House Bridge. Thanks Bob. So, it was the Railway. I remember a big sign near it saying BBC (Bootle Barge Company). We used to cut down there to get to the canal. I remember Mr Fearon and Mr "Dickie" Moss who played the piano and had greased down black hair. Also Messrs Tom McClair , Jorgenson and Jones. Sonoma - you may have been in the same year as my brother Jimmy at St Mary's. His junior school was St Monica's as we lived in that parish till 1957. I was at at St Winnie's Juniors till 1965, then went to St Mary's. My brothers Paddy, Cormac, Eamon, and Mick also went to St Mary's. How you would cringe when he walked behind you when you were " doing your scales" if you were ( off ) he would give you a crack on the head . Incidentally would anyone have a( B form) 58-61 group photo, i would love to see one again, here s hoping. I was in St Winnies about 1953 then the juniours not long after the bulldozers came and demolished our house , then the Monnies , Danny . Wow, this does bring back memories to me! Maureen O'Brien and my best mate then and still is Pat Hoare also Josie Mathers. We still communicate with each other I am living in Australia in Redcliffe Qld. We left U.K. in 1964 going to New Zeland and left there in 1969 to come across to Australia and have recently moved from Sydney after being there for 45 years! 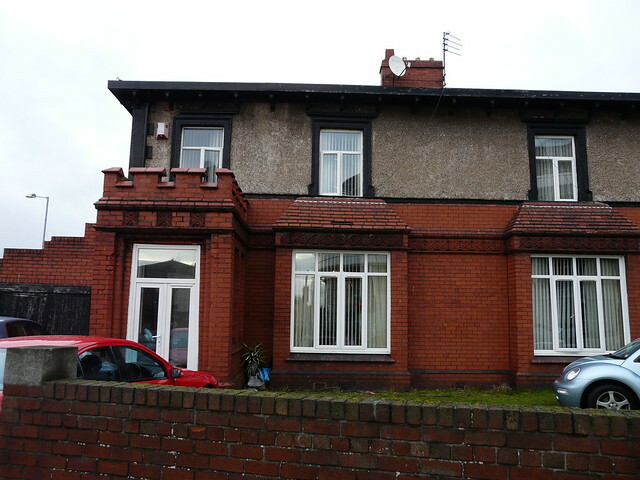 Betty Sherlock and her friend Sheila Rodgers lived near Bootle Station opposite The Bootle Town Hall. Ann Connoly, Miss Whitty our Cookery Teacher Miss Mc Ginty, was sewing also The two Miss Nevins, Oh and that awful headmistress sister THERESA from memory we nicknamed her Creeping Jesus as that is exactly what she would do she could catch us out of our desks and loved to use the cane....... and boy did she know how to use it ! Pat still lives in Bedford Road and Josie I am not sure where she actually lives. We keep in touch on Facebook. I am a great grandmother of 3 and a new set of twins are due in May. All the family is up here and mostly down in Wollongong. Hard to believe Allen and I have been married 59 years this coming September. The years have flown by. Thank again great to see and hear from you and others that may read this God Bless you all from us over there! Maureen nee O' Brien now Prescott.